Apple Valley Ohio Lake Community by Sam Miller: Considered Using a Virtual Assistant? Now is the Right Time! Considered Using a Virtual Assistant? Now is the Right Time! Steve has some compelling reasons why agents should consider utilizing a Virtual Assistant. I worked with a productivity couch 16 years ago and one of the most life changing lessons he taught me is that many of the steps that are required to have a successful real estate transactions could be delegated so I could focus my time and energy working on the critical tasks like working directly with the buyers and sellers. Do you want to be a busy agent or would you rather be a highly productive agent? . It's almost Halloween, have you completed 3/4 of the goals you set back in January 2011? I didn't think so! The great ideas you had for mailings, newsletters, cleaning up your database, and starting a blog are still just that . . .great ideas. Now is the time to make the wise decision to hire a virtual assistant to take over the tedious (but necessary) tasks such as paperwork and calls so that you can tackle the new projects on your list of goals. It is wise to hire a virtual assistant who actually LIKES writing, creating databases, designing newsletter layouts, or spending hours on the computer creating blogs and links to boost your profits. I'm guessing that the image in your mind, when I mention HIRE a virtual assistant is a series of dollar signs. Let me first list the things that you will NOT pay for when hiring a virtual assistant. In the case of hiring a virtual assistant, you pay no social security, taxes, insurance, sick days or other benefits that an in-house employee might receive. The virtual assistant provides his or her office space, desk, chair, computer and printer as well as all the office supplies required. You are paying only for work accomplished and delivered to your satisfaction. 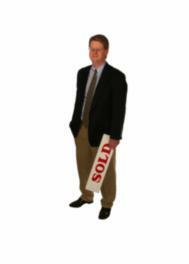 There are virtual assistants available who work specifically with real estate. These are assistants with experience and a proven track record of providing work to agents that made a difference in the agents' business. A Google search for "virtual assistant" will bring hundreds of results. At this point, it makes sense to do a bit of fine-tuning to search for "real estate virtual assistant" and then check out testimonies and experience of the assistants listed. It is wise to work with a group or team of virtual assistants with the accountability of being part of an established firm. One such firm is Best Agent Business. The virtual assistants provided by Best Agent Business have been screened to confirm qualifications and there is a built in system of checks and evaluations to monitor the level of service to each client. Your expertise is making real estate deals happen. The expertise at Best Agent Business is to provide excellent “behind the scenes” assistance to you. Schedule a call with Steve Kantor, President of Best Agent Business, today. There is no charge to discuss your needs and how a real estate virtual assistant can help you clean up your 2011 to-do list! Virtual assistants and building a team of specialists is a great way to take your business to the next level.